All sins create distance between man and God. Still, even before the sun rises tomorrow, the proud man can stick a pin in his swollen ego; the narcissist can begin to learn empathy; the drunkard can put the bottle down before his liver finally packs it in; the liar can start telling the truth; and the thief can commit himself to making his victims whole. John the Baptist taught wholesale, on-the-spot lifestyle modification to all he baptized. When you just stop doing certain things and start doing the opposite, all kinds of wonderful stuff can happen. 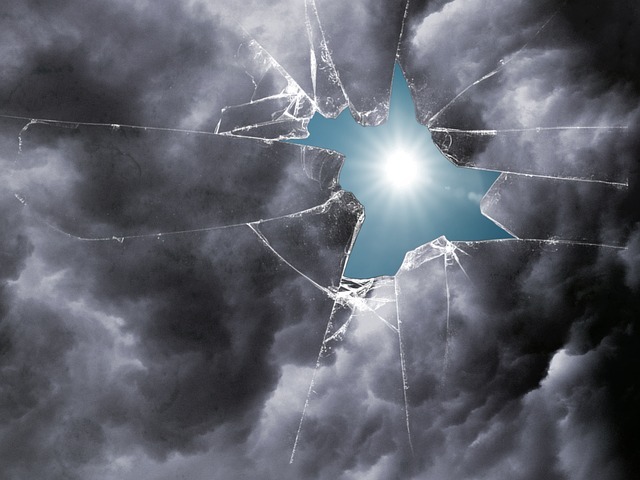 Then there are the “broken window” sins. Bear in mind these are words to professing believers. Now don’t get me wrong. Sexual immorality and unholiness can certainly be forgiven. “Such were some of you,” says the apostle, the implication being that you’re not that now. A betrayed wife may take back a cheating husband, and God may hear his confession and restore him. But don’t think there are no ongoing consequences to such an act. The wronged wife will not be quite so naïve the second time. She pays a price. And the erring husband, even if forgiven, will be on a short leash for a long, long time. More importantly, he may find his sin has changed his perceptions in a fundamental way: he now suspects everyone else of the same sort of lack of self-control and willful self-indulgence to which he fell prey. If he could slip, why couldn’t they? And if his sin is exposed within his family, he may find some among his relatives who will not forgive him no matter what he says or does. The window has been broken, even if you managed to keep some of the bad weather out. Teenagers often attach little significance to their ‘romantic’ assignations, assuming that when they decide to settle down everything will all just sort of “work out”. Perhaps, they think, being sexually experienced may even provide them with some useful wisdom to bring into their marriage. Sexual immorality breaks a window. It has consequences you can’t roll back even with all the goodwill in the world. Sure, you can stick a piece of plywood up there in place of the shattered pane, and you can eventually replace the glass. What you can’t do is glue the broken pieces back together. You may have a window again, but you sure won’t have THAT window. Esau’s sin was not sexual, but it was every bit as life-affecting, and then some. He had been set apart to God as firstborn of the patriarch Isaac for something incredibly special (the Messianic line, in case we’re forgetting) and he didn’t know it, or forgot it, or just plain didn’t behave like it. That’s unholy, says the book of Hebrews. Boy, that analogy just wrote itself, didn’t it. To paraphrase: “Dad, isn’t there ANY way we can roll this back and pretend it never happened?” Answer: No. It’s going to affect and reframe almost every remaining moment of your life. So you broke the window. Hey, me too. What exactly do we do now? Well, for one, we admit we broke the window. We don’t pull an Esau. We don’t waste what remains of our lives trying to imagine what they would have been like if we hadn’t done That Awful Thing (whatever it is in your case), blaming other people for our own choices, or wishing and trying to make things like they once were. We let go of the past and accept where we are now, and determine to go forward honoring God with what we have left. There’s nothing more pathetic than a man or woman in denial. Let’s not be that. Secondly, we let ourselves be used as object lessons if that’s what the situation requires. Why not? Have you got something better to do than help a fellow believer avoid the same pit you fell into? I don’t. “Whoever conceals his transgressions will not prosper, but he who confesses and forsakes them will obtain mercy.” That means being frank about what you did and why, and just as frank about all the miserable consequences that followed. Thirdly, we learn the lesson we didn’t the first time out. That is to say, don’t do it again. This should be obvious, but the Lord contemplates the case of a brother who sins and repents seven times in the same day, so we must conclude the obvious is not equally obvious to everyone. God graciously forgives whenever we repent, but there is no guarantee his disciplinary regimen will not escalate when we repeatedly fail to learn from his forgiveness. Finally, let’s not give the Accuser an inch. One mistake (or even ten) do not define a man, any more than thrice-righteous Lot was forever defined by his choice to make his home in Sodom. (Yes, I’ll concede that was an epically bad call.) If you want to lie there in the dust, you certainly can, but doing so will only serve the agenda of one individual. Let’s be clear: it’s not God.